The Resolutions Committee of the Democratic Party of Orange County passed a resolution calling on Santa Ana to restore approval for the Orange County Needle Exchange Program (OCNEP) back in February of this year. 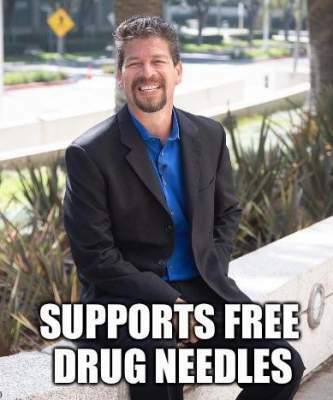 And now the Democrats are backing only the Santa Ana City Council candidates who are promoting passing out drug needles in our community. 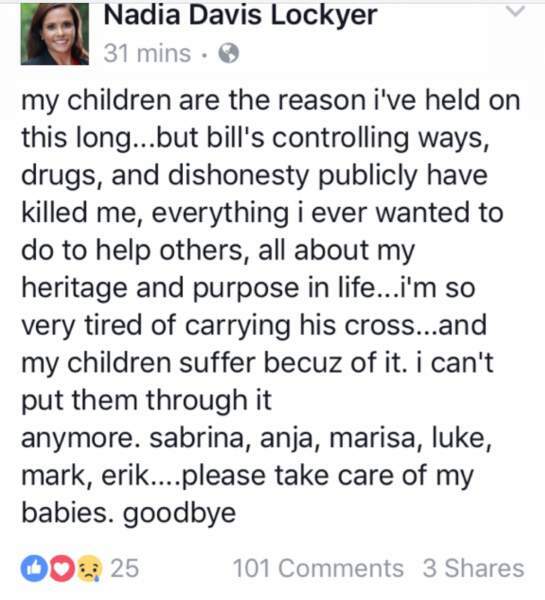 Former SAUSD Trustee Nadia Davis Lockyer posted a cryptic message two hours ago on Facebook that appears to hint that she might be considering suicide. You are probably as sick of this year’s general election as I am. The last few weeks have given us all plenty to dislike about the top two presidential nominees – Hillary Clinton and Donald Trump. And here in Santa Ana several candidates aligned with the Democratic Party have tried to use Trump against Republicans running for non-partisan offices, in one of the most underhanded schemes I have ever seen in my over 20 years of covering Orange County politics. Santa Ana, CA — Following several critical endorsements from the Communication Workers of America, Laborers Local 652, and the California Democratic Party, today, former State Senator Lou Correa was officially endorsed by Sylvia Mendez, the Civil Rights leader who fought against racial segregation in Orange County schools in the 1940s. 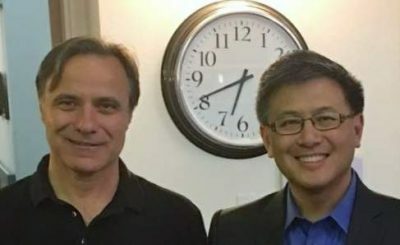 Santa Ana, CA – Demonstrating his potent force in the race for the Santa Ana Unified School District Board race, Bruce Bauer, currently the Vice-Chair of the City of Santa Ana Planning Commission collected a major statewide endorsement from California’s State Treasurer John Chiang. A Santa Ana resident is challenging Tom Daly in the 69th Assembly District election this Nov.
Over half of the voters in the 69th Assembly District are Latino – but our Assembly representative is Tom Daly, who as the former Mayor of Anaheim had a distinctly anti-Latino record. Daly opposed a Hispanic supermarket that did eventually open in Anaheim without his support. He also persecuted the poor people who live in Anaheim’s motels. 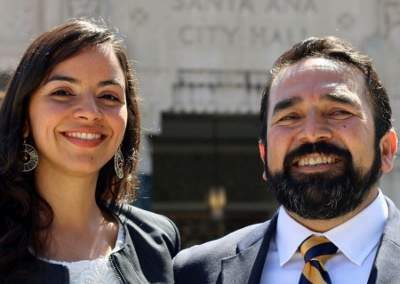 Santa Ana Mayoral candidate Benjamin Vazquez looked like a longshot when he first announced his campaign against longtime Santa Ana Mayor Miguel Pulido. Now I’m not so sure about that as Vazquez has picked up a couple of major endorsments. 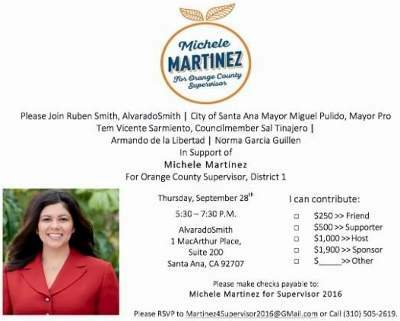 Santa Ana City Councilwoman Michele Martinez is hosting a fundraiser for her Supervisorial campaign on Wednesday, September 28th at the law offices of AlvaradoSmith, located 1 MacArthur Place, Suite 200, in Santa Ana. Will Governor Brown allow criminals to vote on crime reform this November? Do we really want tightly fought Orange County election races and propositions decided by criminals who have made serious transgressions against our society or deciding on what is the definition of a crime? There are no less than five Democrats running for the SAUSD School Board this year, including Santa Ana Planning Commissioner/Attorney/Bike Trail Activist Bruce Bauer; Congressional Field Rep./Planning Commissioner Beatriz Mendoza; Social Worker Dr. Alfonso Alvarez; college teacher Dr. Rigo Rigoberto; and business owner/Anti-Bike Trail Activist Mark McLoughlin. 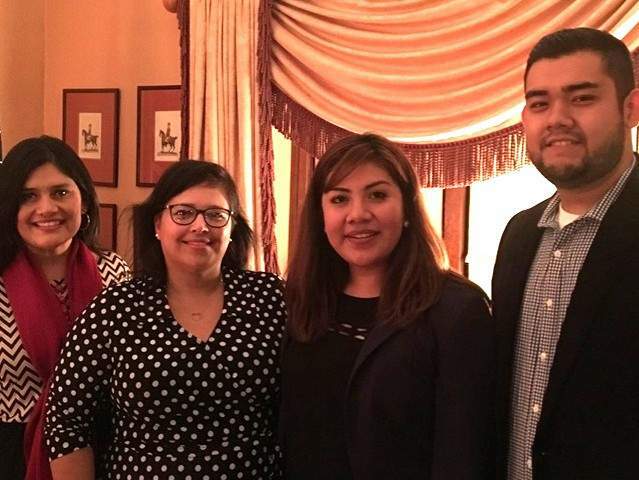 The latter three (Alvarez, Rigoberto and McLoughlin) are supported by the local education unions while the first two (Bauer, Mendoza) are supported by the SEIU and other local labor unions. (The SEIU is also supporting Rigoberto).